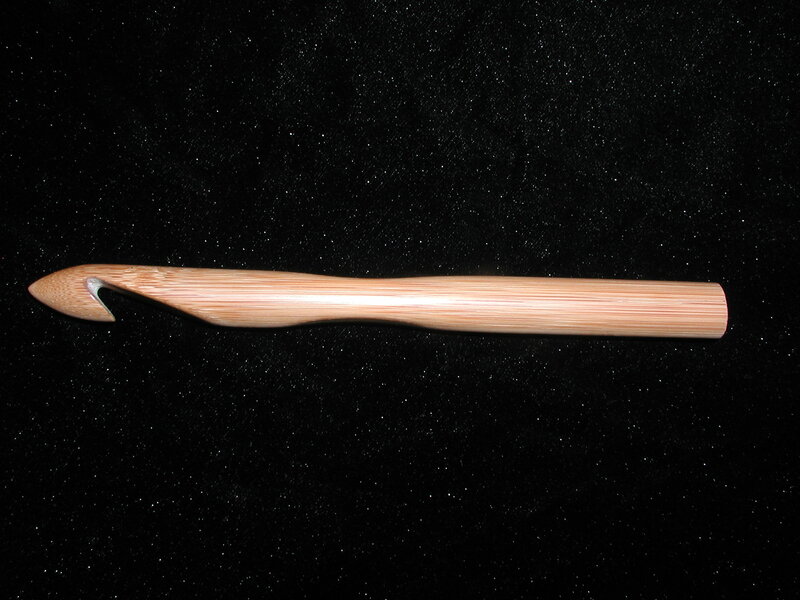 ChiaoGoo Premium Moso Bamboo-Wood Crochet Hooks - Natural and Dark Patina Color depending upon US size. See notes below. 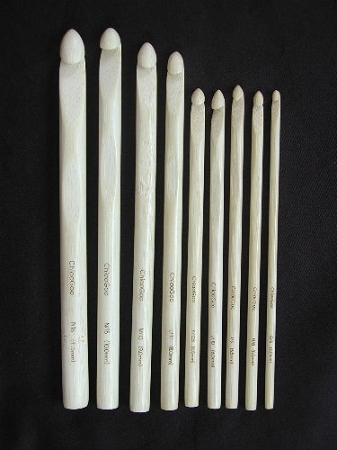 Our lightweight bamboo or wood (dark patina) crochet hooks have the size permanently laser marked on them. They have a perfectly tapered hook with a precisely placed hold for comfort in your hand. Hooks may vary by length and color depending upon the US size selected. Note: Sizes E through P Natural Bamboo Color. Note: Sizes Q, R, S are Bamboo Dark Patina Color. Note: Sizes T, U - All Wood-Not Bamboo (Dark Patina Color). 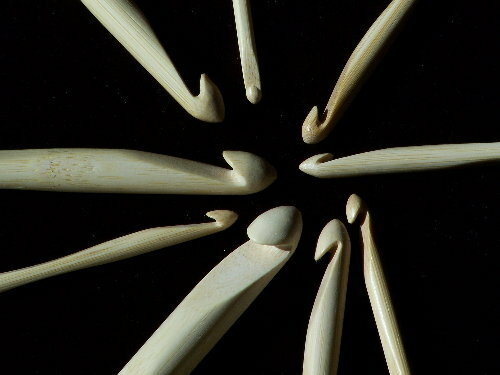 Q: Are the Chiaogoo bamboo hooks in-line or tapered style? Thank you!